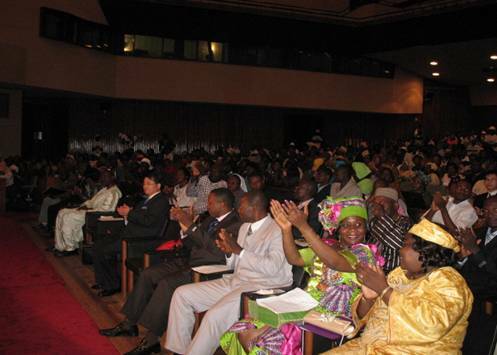 In October 25th, 2008, nearly 2000 distributors from Cameroon and its surrounding countries, such as Chad, Nigeria, the Domestic Republic Congo and so on, got together at the Congress Building of the capital city Yaounde in Cameroon to witness the magnificent achievement Green World created within just one year! 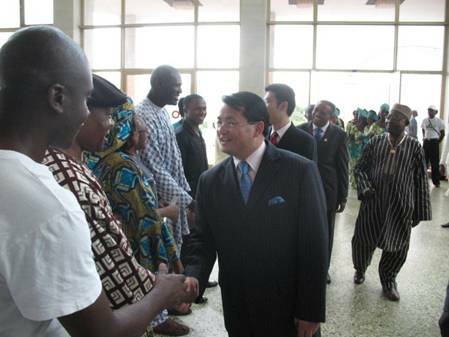 At three o'clock that afternoon, along with the traditional African drum music, Mr. David Zhang, the vice-president of Green Word Group entered the meeting hall with the companion of Green World International Cameroon branch manager Mr. Yaping Hu and shook hands with part of the network leaders from Cameroon, Chad, Nigeria and the Domestic Republic of Congo who were waiting outside of the hall. Mr.David Zhang gave a main address on the meeting, expounded the fruitful achievement the Green World International has got, especially in the African market and also mentioned the whole strategic plan of Green World in the following year. The general manager Mr. Yaping Hu also addressed on behalf of the Green World Cameroon branch to express the gratitude to the distributors for their support, promised that the branch will be in service of the distributors by professional management unceasingly to ensure the Cameroon branch will enjoy a better development. The enthusiastic distributors were encouraged a lot and applaused endlessly. 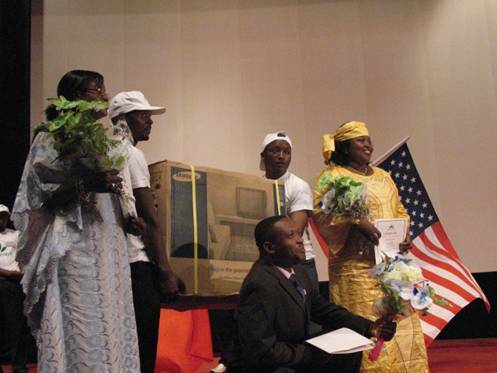 With the elaborate organization of the branch and support of the distributors, this rewarding ceremony presented wonderful programs and the Cameroon branch rewarded more than thirty winners on after another, such as mobile phones for Fast Growth Reward, TVs for Excellent Speciality Stores and also International Trips Reward, which won deafening cheers. the meeting reached its peak for several times and people were shocked by the rewards presented by Green World and also be encouraged a lot. 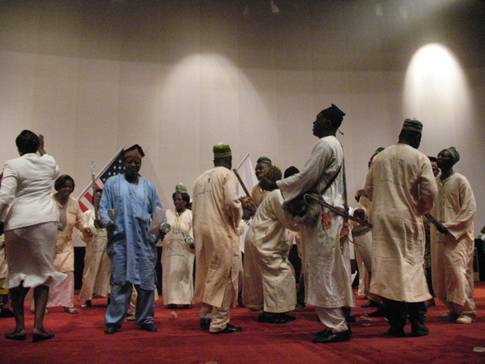 After enjoying the wonderful traditional African drum music and dance show, the most exciting reward - Car Reward was born! The Cameroon branch awarded the excellent network leaders Madam Sarah Ngathou, Mr. Justin Kenang and Mr. Silvester Obiora Chukwudi with Well-known Brand Car Reward. 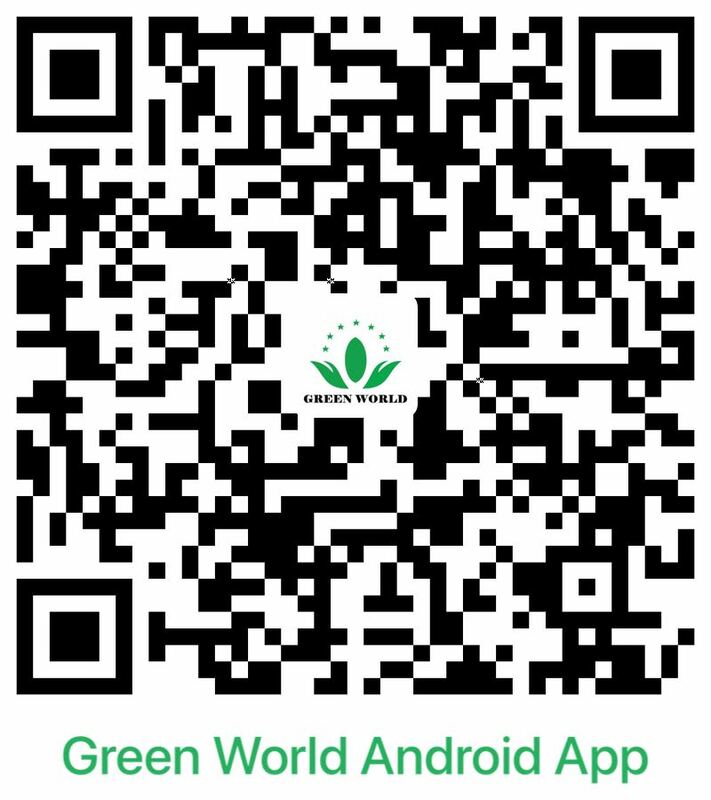 They said in their presentations that the Green World is their best choice, for it has superior products, professional management and service. They will take more efforts to help and support more distributors to realize their dream. 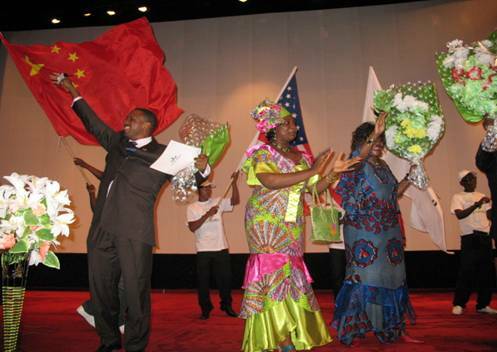 Up to now, the Green World International Cameroon has awarded totally four cars and more than ten International Trip Rewards within one year, which creates a miracle in this industry and sets up an unmatched monument with a high speed. the car owner Mr. Silvester Obiora Chukwudi is so excited, since he win this car just within 7 months. 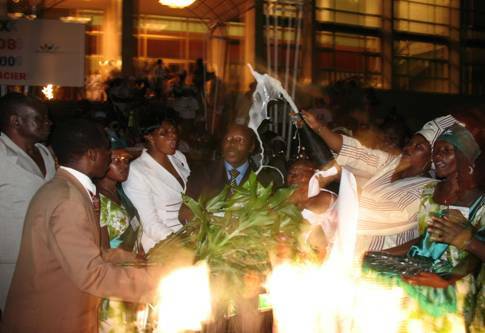 With the night slowly came down, people clustered around the Green World sales elites, opened champagne before the cars to sing and dance to the full. They all cheered for the miracle of Green World and loathed to depart. 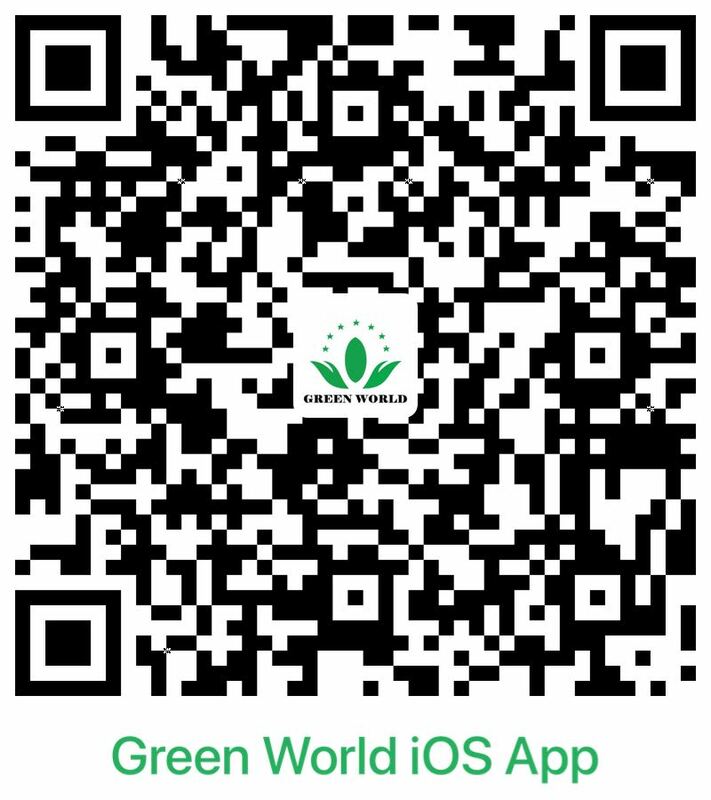 We believe this is only a beginning of miracle, there will be more people can receive the car keys from Green World to realize their beautiful dreams!